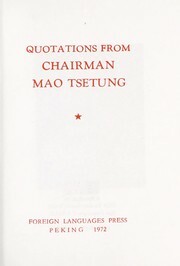 150 works Search for books with subject Chinese Quotations. 20th century, 21st century, 960-1644, Ming dynasty, 1368-1644, Qing dynasty, 1644-1912, Song dynasty, 960-1279, To 221 B.C. Are you sure you want to remove Chinese Quotations from your list?